Daytime cleaning has many advantages. Jobs with daytime shifts are easier to fill since more people are willing to work "normal" hours. And daytime cleaning avoids the extra wages required for night workers. But there are more good reasons to promote daytime cleaning. Daytime cleaning allows office or factory workers to see cleaning personnel in action, creating more respect for the cleaners’ work. 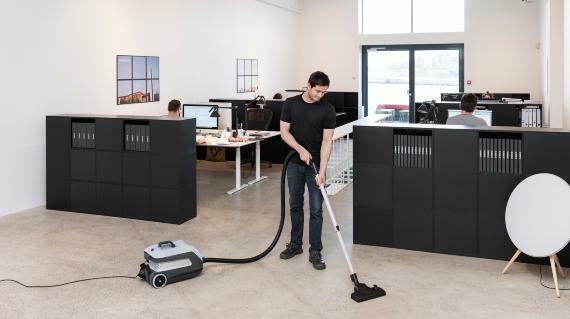 It also helps cleaning staff to know how the building is utilized during working hours, including which areas get heavy traffic and which areas are hardly used at all. 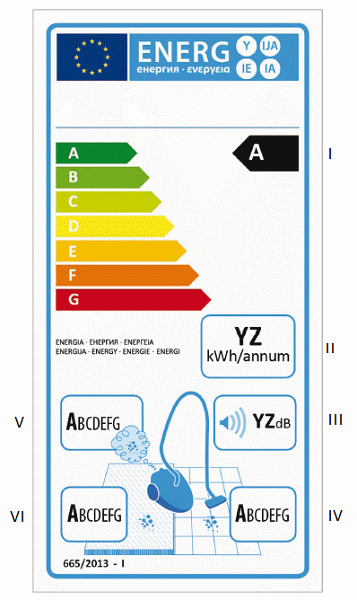 This helps cleaners plan and reduces unnecessary cleaning. Since both the cleaner and the customer are on the job at the same time, communication is easier. They can discuss cleaning issues and exchange valuable feedback. Ongoing dialogue with the cleaner means immediate cleaning needs can be communicated, if appropriate. Daytime cleaning has always made sense, but noisy, cumbersome cleaning equipment used to make it impractical. 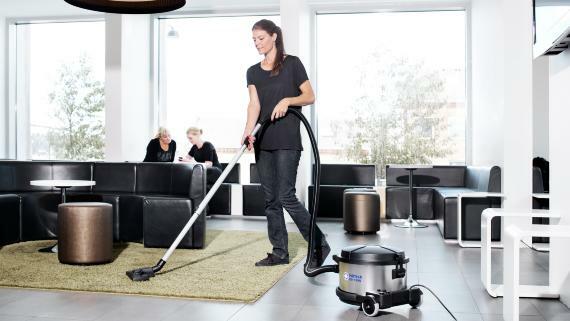 Nilfisk’s new low-noise, compact cleaning machinery makes daytime cleaning the smart thing to do!